Our focus on executing proper technique and doing so consistently helps train muscle memory correctly from the beginning! We believe mastering the fundamentals is crucial to be competitive and to blaze the trail for player's volleyball futures. Join us at one of our clinics or camps.Your athlete will learn new skills, master old ones, laugh, make new friends, and find a love for the game! 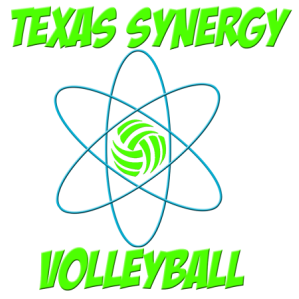 If you have any questions contact us at info@texassynergy.com Sessions are limited to 14 athletes per camp. Camps are 3 hr training sessions that focus on position specific training! ​All Camps are held in Georgetown. As we are a Georgetown based club. Once you complete registration by submitting this form. You will receive an email to pay for the clinic online. All payments are due 2 days before clinic training day.